Intelligent bots are cash cows for industries where an outstanding customer service is the cornerstone for the business, as it happens in retail or banking. When we talk about intelligent bots, we mean bots that correctly analyze, process and respond to everything that users say in a natural way, no matter which jargon, synonym or dialect they use. It doesn’t seem to be that easy, right? To better understand these hurdles, bots need help. And here is where Natural Language Processing techniques come to the rescue. First of all, NLP techniques classify data by segmenting sentences, identifying languages, correcting spelling, tagging parts of speech… and, at the end, all this information is processed into something any machine can read properly. Natural Language Understanding is considered a part of those NLP techniques that make AI correctly understand and, as a result, reply to complex queries accordingly. Bitext helps bots enhance its understanding skills while increasing, this way, their accuracy. We are solving this problem by simplifying all user requests to a normalized form that captures a common meaning. Then, the bot is fed these normalized forms, linked to their respective surface forms, getting trained to react to any query variation. As a result, the hurdles that your bot must handle are notably overcome. This preprocessing step greatly improves bot accuracy without requiring much training time. How does it work? Advanced NLU systems make a bot keep the conversation going by providing facts, using clarification techniques or detecting sentiment, for instance. Nevertheless, the greatest skill of a strong NLU is the ability to detect context. To this respect, Bitext solves other common understanding problems in bot training, such as double intents in a sentence or negative statements. Let’s imagine you’re talking to your mobile virtual assistant and you say, ‘look for restaurants, but not Chinese’. If your AI is working up to a keyword approach, it will probably only pick up on the words ‘restaurant’ and ‘Chinese’ and give you back exactly what you don’t want to see: Chinese restaurants. Come on, try it now! You’ll be surely frustrated and won’t trust on your AI assistant ever again. Not only negation, but also such simple requests as the ones on the chart above, where a user asks for two different items, are overlooked by most virtual agents. And when it comes to sales, two is better than one! 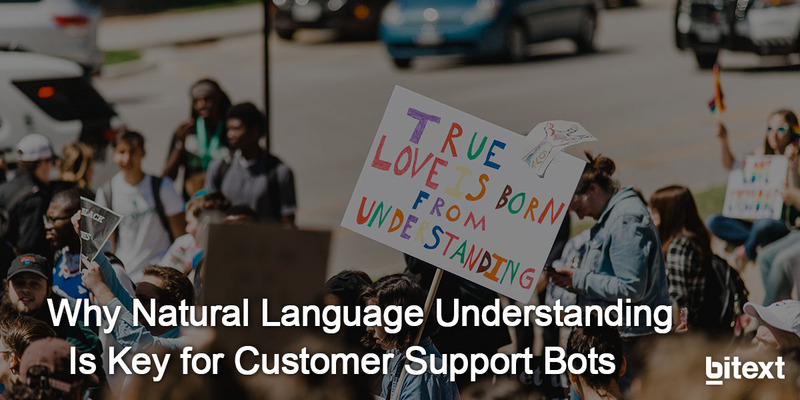 Summing up, applying cutting-edge NLU techniques to your AI system will identify customer needs, feelings and emotions, and speed up its training. At the same time, it will enhance the quality of future interactions and get insights to improve the customer experience. Those are all advantages! See how it works in real life by clicking here.